Ticket Zone has announced that they will continue to provide ticketing services for Feld Entertainment for the 7th year running for the upcoming Disney On Ice and Monster Jam productions. Ticket Zone attended the recent Group Trade & Leisure Show with Feld Entertainment (12th October) on their exhibition stand at the NEC in Birmingham. Ticket Zone is the official Feld Entertainment Groups Representative for managing ticket distribution into national ticket agents. 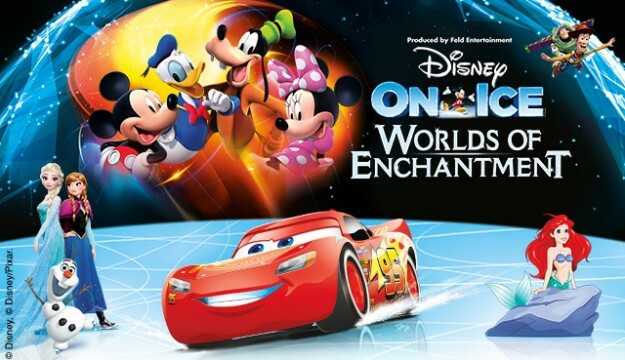 The announcement coincides with the launch of the new Disney On Ice presents Worlds of Enchantment tour for Spring 2018. Customers will be able to book for non-stop fun with four of their favourite Disney stories: Frozen, The Little Mermaid, Disney/Pixar’s Cars and Toy Story. Monster Jam in Cardiff also just went on-sale last week at the Principality Stadium. Established in 1988, Ticket Zone provides companies with a mix and match approach towards ticketing, including ticket sales, ticket fulfilment, contact centre and customer services, allowing clients to select services to match their need and budget. Wayne Munday, Chief Operating Officer at Ticket Zone, commented: “We are pleased to announce our continuing relationship with Feld Entertainment. Both Disney On Ice and Monster Jam are huge, high profile productions and we are very proud to have been re-selected as the official Feld Entertainment Groups Representative. Claire Ballard, Senior Regional Marketing Director at Feld Entertainment said: “Disney On Ice and Monster Jam are two of our most popular shows and we’ve had a huge demand for tickets.